Images have surfaced out of France showing some glamour shots of a new Subaru WRX Concept – a sporty sedan that very well could be the mysterious Subaru Performance Concept set to debut at the 2013 New York International Auto Show later this week. These images hit the internet courtesy of French site Blog Automobile and they clearly show a Subaru sport sedan wearing the familiar WRX badging up front with an auto show style license plate that bears the name Subaru WRX Concept. There is no official word from Subaru on these images but this great looking WRX Concept could be the new Performance Concept that Subaru announced would debut this week at the New York Auto Show. Provided that this car is the Performance Concept coming to the Big Apple, it will preface the next generation Subaru WRX performance sedan which may or may not continue to wear the Impreza name. It is unclear whether these images show an actual Subaru WRX Concept or if they are just really (really, really) well done fakes but in my opinion – the car shown on the right could most definitely be a new Subaru Concept that previews the next generation WRX. This car really has all of the traditional elements of the WRX lineup like the molded in hood scoop, a super aggressive front fascia that would likely do a fine job of keeping the boosted engine cool, sunken in body lines along the sides with a chrome WRX badge at the leading edge and a low, sleek roofline. However, this concept has some distinct features that I wouldn’t expect to see in the next generation WRX – mainly super high tech LED headlights that look awesome but just they don’t look like a production friendly design. That aside, every other aspect of this new WRX Concept looks like something that we could realistically see in a Subaru showroom in the immediate future. The back end is especially exciting with a set of great looking LED taillights and a super aggressive rear diffuser that integrates the quad exhaust tips. Finally, the 20 inch thin spoke wheels wrapped in high performance rubber are tucked around an upgrade braking package feature six piston Subaru rotors painted bright highlighter greenish yellow. All it needs now is some gold wheels and it will be ready to make the Subbie crown swoon…in case they arent already. In all fairness, if this WRX Concept does show us what is coming from the next generation performance sedan, Subaru enthusiasts have a reason to rejoice as this is a great looking sport sedan. The Subaru WRX Concept will likely come powered by a turbocharged Boxer engine that sends between 275 to 300 horsepower to all four wheels via a proper manual transmission and I would expect the power would be in the higher end of that range – at least in concept form. The current WRX and WRX STI lineup offer 265 and 305 horsepower respectively so a new WRX with 285 horsepower would provide some advantage over the current models while still leaving room for the higher performance STI package. Even without a substantial increase in power, the next generation WRX could offer improved performance and better fuel economy through weight reduction thanks to new chassis and body technology but we still have our fingers crossed for at least a touch more power in the new models. Click any of the thumbnails on this page for a closer look at the new Subaru WRX Concept that might preview the mystery “performance concept” set to debut at the 2013 New York International Auto Show later this week. 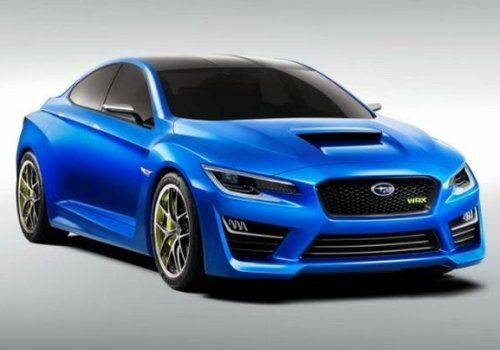 Do you think that this could be the next generation Subaru WRX? Tell us what you think in the comment section! A special thanks to Belgian Max for the translation help!